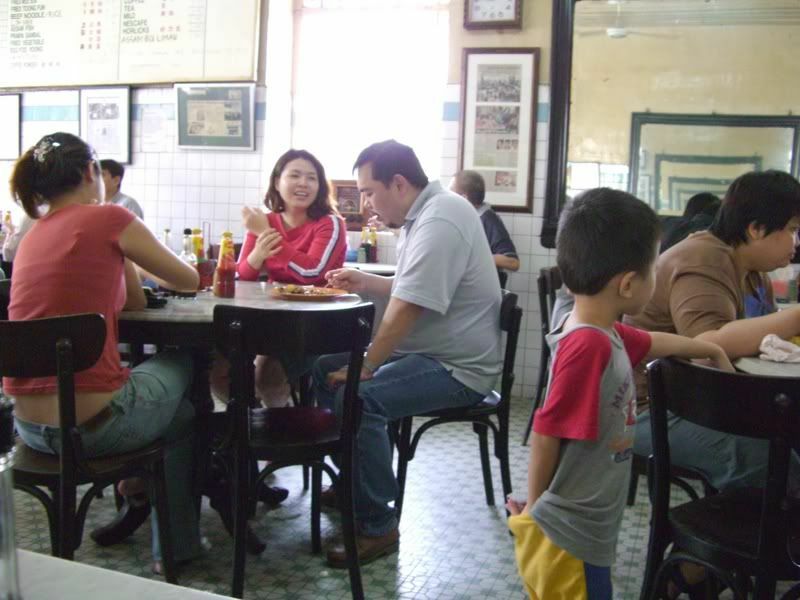 If you come to Yut Kee often enough, you'll begin to notice that it's ALWAYS packed to the brim, even on weekend mornings... In fact, most of the time you will have to share your table with strangers (for that wonderful feeling of togetherness). They've been around for at least 40 years (as many of our parents and grandparents remember, very fondly, eating there) and is now being run by the son of the original owner. Prepared in the classic Hainanese style, it is lightly coated with egg and pan fried till it's slightly crispy on the outside but still moist on the inside... Then, it's dished up with a rich, wholesome brown sauce with caramelized onions (YUMMMMM) and some delish potatoes (and also some forgetable mixed peas/ carrots/ corn). 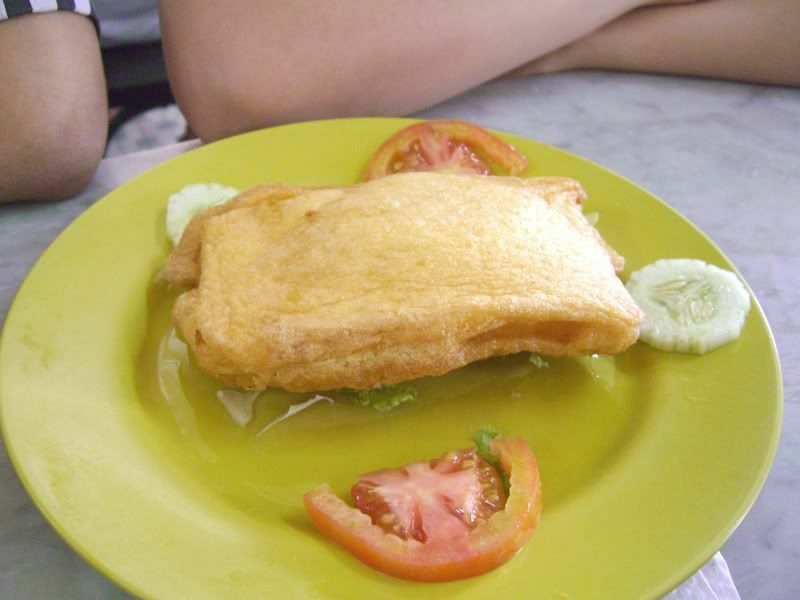 The "Roti Babi" (RM6.50 RM 7.50) is basically bits of pork, "lapp cheong" (chinese sausage) and onions encased in fluffy bread, coated with egg and lightly fried. There are also many other tasty items on the menu: Various other "chops" (lamb/ chicken) as well as an assortment of noodle and rice dishes (which are pretty decent too). 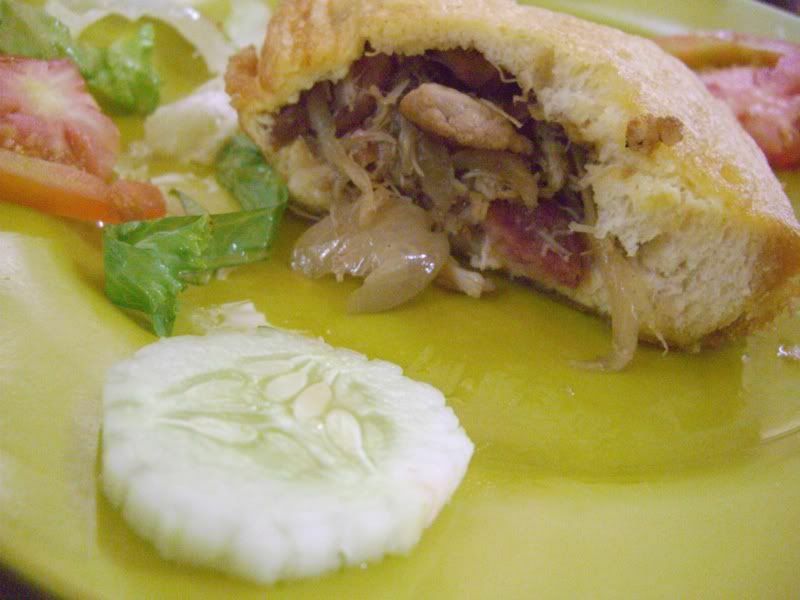 If you are looking for something lighter though, don't miss out on their traditional Kaya Bread. 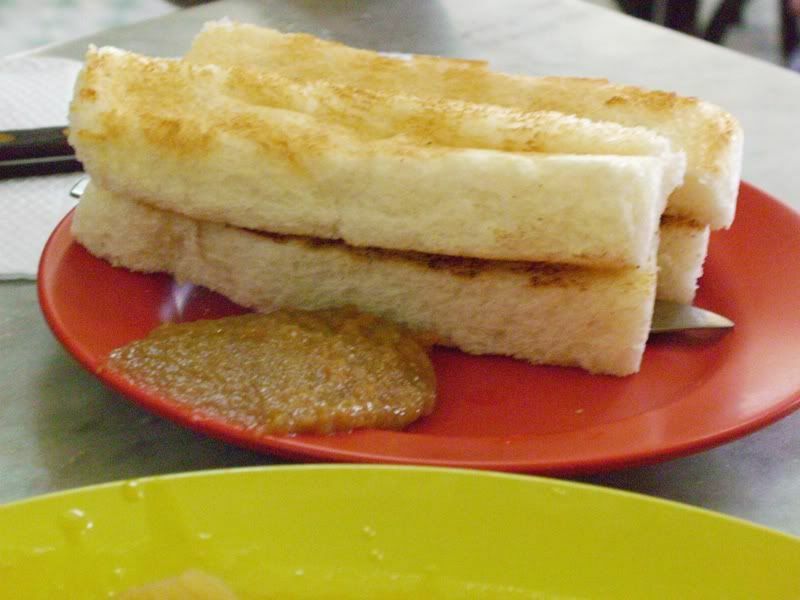 This simple dish is one of those that are "easy to prepare but difficult to get juuuust right".... but I think Yut Kee's done a really good job: The bread is crispy without any starchiness and the Kaya is fragrant but not overly sweet. I used to come here pretty often for lunch, when I was still working in the KL area.... but since my office is in PJ now, it's become more of a rare weekend treat. So, it's: Yummy food, decent prices, very simple but wonderfully quaint traditional "coffee shop"/ restaurant setting BUT nothing much bad really... except that it can be a pain to find parking in this area during week days and sometimes you have to wait quite a while for a table. Parking: Weekdays - Painful, Weekends - OK.
* Sorry, I think it's nice for a coffeeshop but it's STILL a coffeeshop - no aircond, rustic, noisy, etc. hihi this place horrrr i like to go lo and of coz i like the pork chop very much too & u never try the kopi? Well,.. it's on Jalan Dang Wangi - pretty much just behind the KL Sheraton Hotel. If you are driving on the Heritage Row road (the one with Bar Savahn on it, next to the Sheraton)... just go right to the end of the road where you will be at a t-junction. 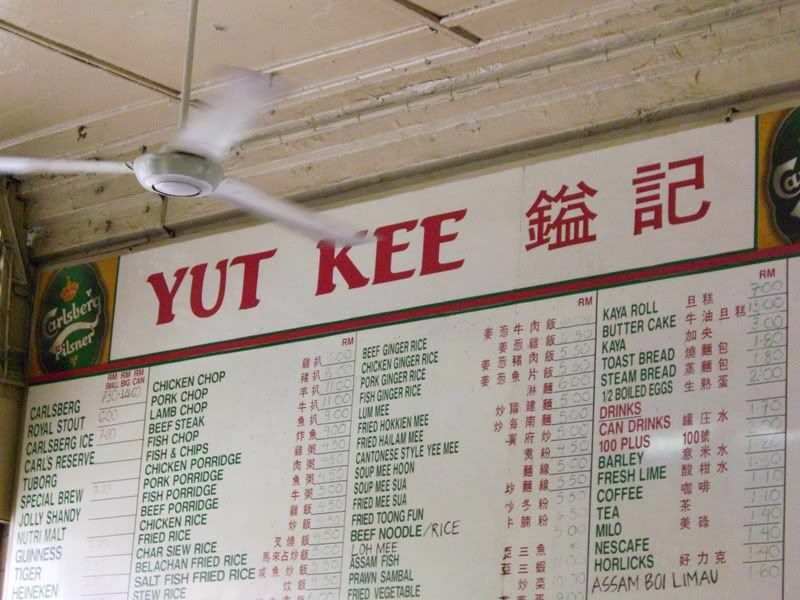 Basically, Yut Kee will be the shophouse directly on your left hand side when you are at that t-junction. If you can find parking around this area then good. If not then turn out left (one way road anyway) to the main road and park at the RM3 open air parking lot which is about 5 shophouses away). Hey, it's my pleasure anyway - just trying to give a helping hand so you can go taste some yummy food! aiyooooo...my fav pork chop!!! slurp slurp... all i want for xmas is yut kee's pork chop, oh yut kee's pork chop..YES yut kee pork chop!! It's ok: I think it's not madness... just some healthy Christmas spirit! Erm... I mean Merry Christmas! !